In this edition of the PNR: This Old Marketing podcast, Joe and Robert discuss the latest content promotion research from Outbrain; share some of their thoughts on a News Corp interview on content publishers‘ biggest competition — and a missing piece of the puzzle; and go into detail about Red Bull’s own media company, Red Bull Media House. 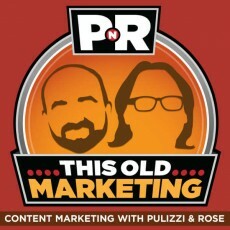 Download this week’s PNR: This Old Marketing podcast. ContentTECH is a one-day virtual event that focuses on the present and future of content marketing technology. This free event for marketers will be held on February 26, 2014 and will include keynote presentations from the likes of Contagious author Jonah Berger and Emerson CMO Kathy Button Bell. Register here. Robert’s Rave: Robert does a rare rave this week, tipping his hat to two powerful new content examples from the entertainment world. Robert was flat-out impressed by the buzz around the promos for the film Anchorman 2 (five of the funniest stunts can be found here), as well as Beyonce’s secret album launch. Joe’s Rant/Rave: Joe rants about the move toward creating lots of content in lots of channels, and suggests that maybe the answer is not “more,” but rather focusing on consistently delivering content in one key channel. Joe also gives a quick shout-out (rave) to American Express for advertising OpenForum.com, its small business content platform, on the radio. 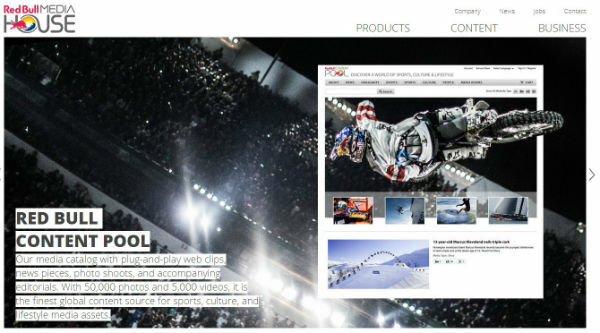 Red Bull Media House: Launched in 2007, Red Bull Media House serves as a media company built inside of beverage giant Red Bull. Two important areas discussed by Robert and Joe include Red Bull’s content pool — a profit center within Red Bull that licenses videos and pictures to traditional media companies — and Red Bull Records, which signs relevant independent artists and then syndicates and licenses the music rights out from those performers. If you enjoyed this podcast, Robert and Joe would appreciate if you could post your review on iTunes.